← Caros sueños de vacaciones, programa crítico de la TV Danesa sobre Gran Canaria. Expensive Vacation Dreams: Critical TV programme by the Danish National broadcaster on Gran Canaria. DR1 a Danish national TV channel produced by the public service broadcaster DRI has aired on its Consumer Programme Kontant (Cash) a feature where it warns against the discount travel membership club (holiday club) Compass currently sold in Southern Gran Canaria. 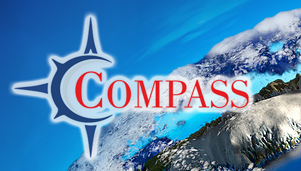 Compass is the replacement of Voyager Travel, latter discount travel membership club, raided by the Spanish Police in July 2013 in Gran Canaria. We remind the reader of Mindtimeshare that there are preliminary proceedings open against Voyager Travel and seven ringleaders of this holiday club, who have been formally charged with fraud and criminal association. The German national Eugen Friedrich Kaiser would be the main person behind Voyager Travel and linked companies. So despite the preliminary judicial proceedings, the very same people charged for running Voyager Travel, have not wasted a second, creating a new discount travel membership club, Compass, using a similar modus operandi. Basically they have had no qualm to continue defrauding the tourists who visit Gran Canaria. And a very prestigious Consumer Programme Kontant of the Public funded Danish TV has reported on the activities of the discount travel membership club, Compass. Journalists of the TV DR1 Channel visited Gran Canaria, but not to inform about the wonders of the island, but to make a very critical consumer programme on Compass Holiday Club, the replacement of Voyager Travel. Please consult the programme on Compass at the following link of DR1 – http://goo.gl/4vgqy7 . The title of the programme Kontant (cash) broadcasted on November 25th was Expensive Vacation Dreams. “Gran Canaria in the Canary Islands, is swarming right now with Scandinavian tourists. And they will most likely run into some energetic sellers offering them a free scratch card. A scratch card, which is as likely to result in gains: an I-pad or a week’s hotel stay in Gran Canaria. And who will reject the offer of a free taxi to pick up the prize at a hotel nearby? Unfortunately, it is not so easy. Before you know it, you are participating in an hour-long sales pitch about cheap holidays. And it all sounds mighty appealing, telling people who have tried it, as Christine Jakobsen and her husband Bjarne. They bought in April a large pack of prepaid hotel weeks over the world for 56,000 Danish Krones (7,507 Euros). – They offered us 10 travels worldwide at 4 – 5 Star hotels at a cost of 8,500 euros and if we paid the same day, we could save 500 euros. – What are you doing here? I went to the bathroom and vomited. – We were pressured into something that we couldn’t foresee, because everything must go so fast and we did not get the chance to think through it. – Where will be staying in holidays? Christine and her husband discovered only when returning home in Denmark that they had signed on oral/verbal promises but that the guarantees were invalid – but they had signed that the contract had been concluded without any form of coercion and blackmail. And contrary to what Christine and her husband were promised, they can only go on holidays to four countries in addition to Spain, and that the standard of the hotels offered were lower than the promised ones. They were shocked when they discovered that there were hundreds of similar consumer cases to theirs. Kontant TV programme has talked to a number of Danish nationals who tell them about how they have been tricked by the smart – often Danish – sellers for hours and promised access to a world of attractive hotels. Sales pitches that are so effective that the consumers cannot think straight and end up not reading their contracts properly before they sign and pay. – They have been promised a withdrawal that is not included in the contract. They might have been promised a stay at a particular resort, yet it is not part of the contract. The European Consumer Centre in Norway is experiencing the same types of complaints. Norway is close to 200 cases of travel clubs. Kontant TV programme has shown Christine and Bjarne Jakobsen’s contract to Martine Kiding, who has particularly highlighted one thing of the contract: The agreement runs for 9 years. – If a contract includes a product that lasts for more than a year, then it will be covered by the Timeshare Directive, and as a result consumers should be given a right to cancel it during the first 14 days – i.e. cooling off period. But the contract signed with Compass indicates nothing about a cooling off period of 14 days. Martine Kiding adds that the Timeshare Directive forbids the taking of deposits before the cooling off period is over. Basically these discount travel membership clubs cannot take any money upfront until 14 days had passed since the signing of the contract. Christine and her husband paid 30,000 Danish Krones (4,021 Euros) on the spot, on the same day that they signed their contract with Compass! As a result the discount travel membership club Compass violates by all accounts several points of the European Directive. – The scratch cards are a recognized method of sale in Gran Canaria. – The sellers are authorized locally. – That no one is forced to participate in sales meetings. – The company affirms that no one signs under pressure, something that Christine Jacobsen and her husband agreed, signing a document that proved it. – Compass believes that the contact signed by this couple, is not covered by the European Directive, which covers Timeshares and Long-Term Holiday Products (i.e. Discount Travel Membership Clubs). The Association of Mindtimeshare has been allowed by the judge to participate as a party in the criminal prosecution against Voyager Travel and linked companies, court case taking place in the Courts of San Bartolomé de Tirajana in Gran Canaria. As a result we believe that other local authorities should get involved also in this Court case. We want to make an appeal to the Public Institutions of the Canary Islands, Gran Canaria, San Bartolomé de Tirajana, and Mogán Councils, to contribute to make certain that the image of Gran Canaria as a safe holiday destination is not tarnished even more. How is possible that some persons who have been charged with fraud and criminal association for the selling of the discount travel membership club – Voyager Travel – are allowed to continue selling a new discount travel membership club – Compass – which is similar to the previous one, using the same sales practices, in the same location, and acting with complete impunity? Are we going to wait that the rest of the European Televisions come to Gran Canaria to report on these discount travel membership clubs, damaging even more the island´s reputation as a safe holiday destination? Dear politicians this is not the first time that the European Media reports on Voyager Travel, and it is high time to act. It is unbelievable that this is happening in a so-called developed country. This entry was posted in Bogus Holiday Clubs, Canary Islands, Warnings and tagged canary islands, Compass, Discount Travel Membership Club, DTMC, Eugen Kaiser, Gran Canaria, Operacion Voyager, timeshare, Voyager Travel. Bookmark the permalink. 3 Responses to Expensive Vacation Dreams: Critical TV programme by the Danish National broadcaster on Gran Canaria. anyone who succumbs to this sc** should put in a claim immediately with their credit card, hopefully this is how they have paid. I had my money back when I was sc***** by Voyager following this route. Good luck. I find it incredible that the authorities in Gran Canaria seem to be ignoring what is still going on. The politicians will have to act soon in order to save the reputation of Gran Canaria before the tourists decide that they have had enough. The sooner Kaiser and his cohorts are locked up, the better.